Classic funk instrumentation including electric piano, guitar, brass, Clavinet, bass and more. DRUMS (190), ELECTRIC PIANO (76), BASS (134), CLAVINET (56), GUITAR (97), SOLO SAX (32), BRASS SECTION - ALTO & TENOR SAX, TRUMPET, AND TROMBONE (30). Old School funk; raw, rare, and rippin'. More than 600 top quality loops featuring all the crucial instruments for funk, including electric pianos, Clavinets, brass, drum and bass of course, and dead cool guitar. Inspired by the seventies, this collection was recorded by the cream of London's young funk players several of whom have now gone on to work with heavy-hitting international artists like Amy Winehouse, Tina Turner, and Beyonce. The Clavinet parts are standout, and the drums are classic. This is real songwriter material, and a collection you'll come back to time and time again. The original SMF Type 1 file format is guaranteed to work with all DAWs and hardware sequencers that can load/import .MIDs: Cubase (all versions, including LE and Sequel), GarageBand, Pro Tools, Logic, Acid, Reason, Ableton Live, FL Studio, Live, and Cakewalk (all version), and with all VSTs or synth sound sources. In 2014 an almost complete set of 'Motif Pattern' format versions were released (see below for full list). 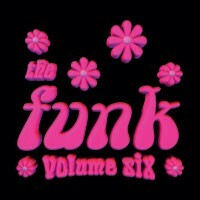 On the Motif this collection of funk parts will be usable instantly and, as you might expect, sound terrific.